Asia Library is collaborating with the Lieberthal-Rogel Center for Chinese Studies on a new film series called CHOP (China Ongoing Perspectives). The first entry in the series will be on Thursday, February 7, 4:30-6:30 PM in the Shapiro Undergraduate Library Screening Room (room 2160). 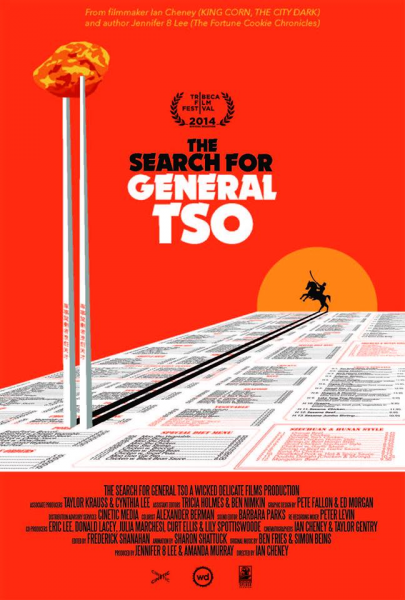 Just in time for the Chinese New Year, we are presenting The Search for General Tso, a documentary that engages the senses by exploring an iconic sweet, spicy and savory dish--General Tso's Chicken. The film will be moderated by Miranda Brown, professor of Chinese studies, who is a historian of pre-modern China currently preoccupied with food and medicine. Admission is free and open to the public, and audience members will be offered free tastings.